These days, there’s no dirtier word than “divisive,” especially in religious and political circles. Claiming a controversial opinion, talking about our differences, even sharing our doubts can be seen as threatening to the goal of unity. But what if unity shouldn’t be our goal? 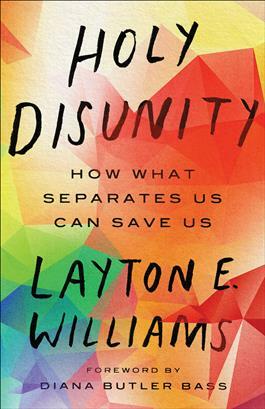 In Holy Disunity: How What Separates Us Can Save Us, Layton E. Williams proposes that our primary calling as humans is not to create unity but rather to seek authentic relationship with God, ourselves, one another, and the world around us. And that means actively engaging those with whom we disagree. Our religious, political, social, and cultural differences can create doubt and tension, but disunity also provides surprising gifts of perspective and grace. By analyzing conflict and rifts in both modern culture and Scripture, Williams explores how our disagreements and differences—our disunity—can ultimately redeem us.